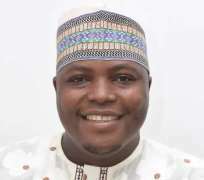 Mr. Imam Imam, Sokoto State Governor's Media Aide, Passes On. The news of the passage to Glory of Mr Imam Imam, the former media aide to Governor Aminu Tambuwal of Sokoto State was received with great shock in our organization, The Nigerian Voice. Late Imam, discovered The Nigerian Voice some years ago and have dedicatedely been syndicating news and reports from Sokoto and the neighbouring states to us. We are already missing him because in the words of Richelle E. Goodrich "the effects of loss are acute, and unique to each individual. Not everyone mourns in the same way, but everyone mourns.” We mourn your intellectual contributions to humanity through our media platform. We join other Nigerians to extend our condolences to the governor of Sokoto State and his family. It is our prayer that Almighty Allah grant his family, relations, colleagues and friends the fortitude to bear the irreparable loss. To our departed colleague, May Allah grant your soul forgiveness ,mercy and jannatul firdaus.